The best way to creatively repurpose old CDs or DVDs. It would take approx 1 million years for a CD to completely decompose in a landfill. 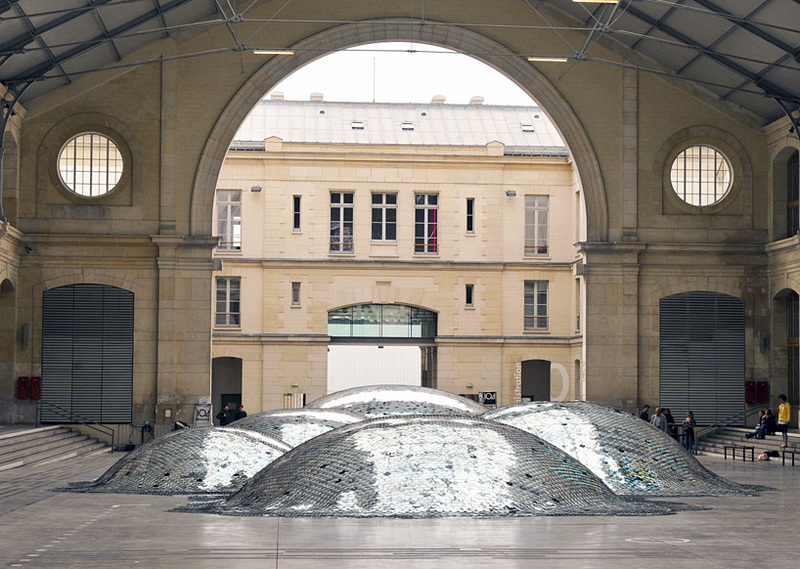 If you have creative mind + piles of old CDs or DVds lying around your house or elsewhere you may get inspired by a magnificent work of French artist Elise Morin and architect Clémence Eliard. 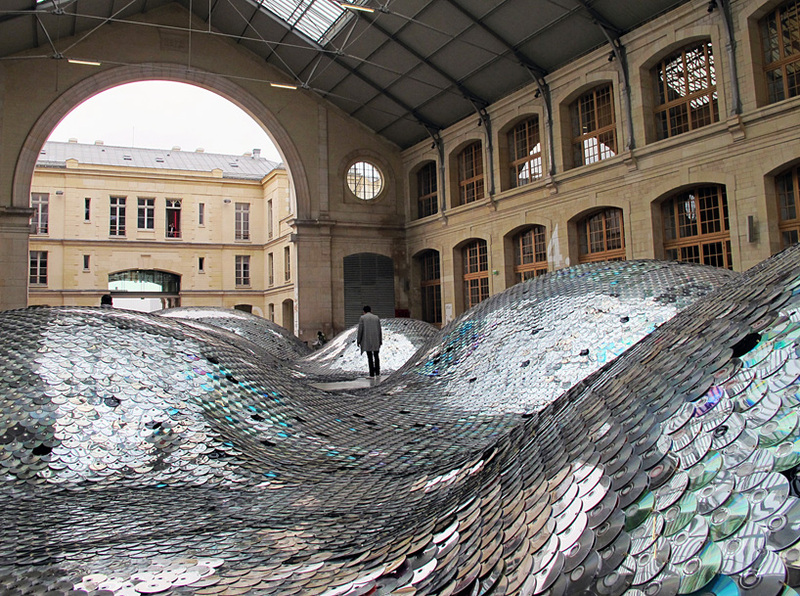 They hand-sewed together 65,000 unsold (and unwanted) CDs to create an enormous 500-squere meter dune like metallic landscape, so-called ‘Wastelandscape’ which overtakes the ‘Halle D’aubervilliers’ of Paris’s centquatre. 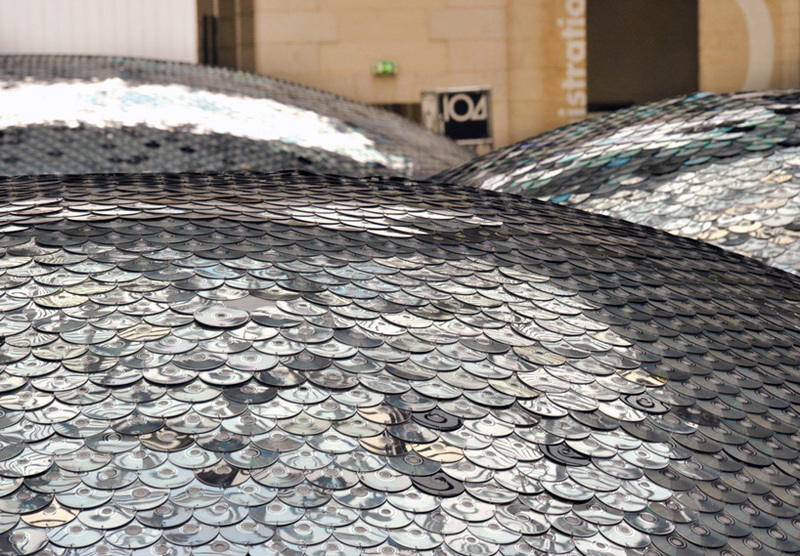 After the exhibition, every single CD will be recycled into polycarbonate.